I was reading an article about this new restaurant in Los Angeles that has a giant wood-burning oven as its centerpiece. 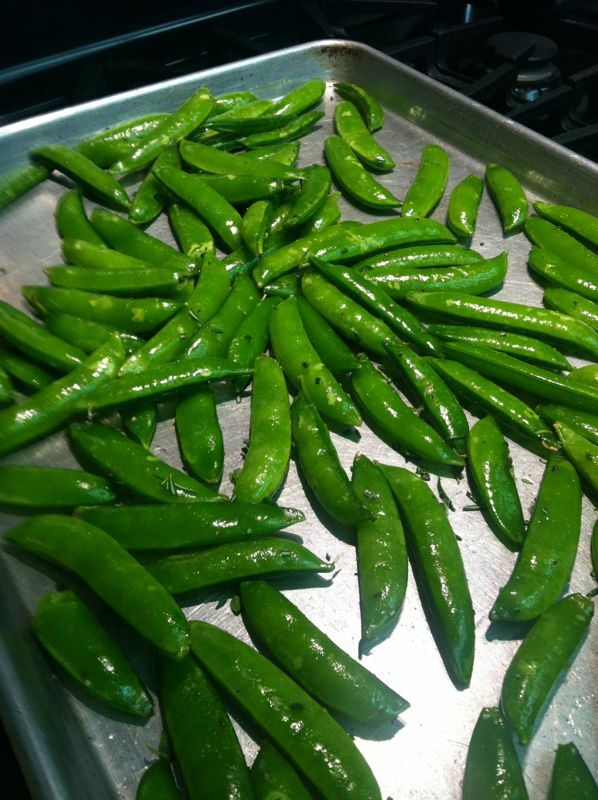 The menu is based on things that can be cooked in there and one thing they mentioned was roasted sugar snap pea pods. 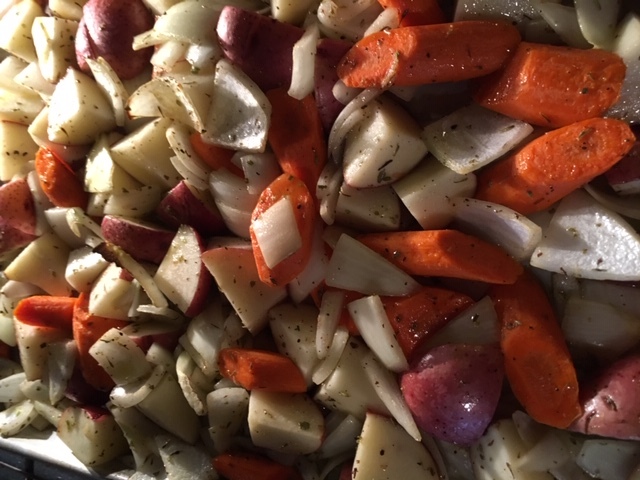 I bought a bag the next time I was at Costco, then lacking a giant wood-burning oven in my kitchen–or my home, for that matter–I searched for a recipe online that could be done in my oven. It’s simple. Preheat the oven to 450 degrees. Wash the sugar snap pea pods, and “de-string” them if they need it, by snapping off one end with a paring knife and pulling the long “string” away from the “backbone” of the pea pod. I was lucky. Mine were the stringless type (they do sell some like this). Toss with a few tablespoons of good olive oil, some thyme, salt and pepper. At the last minute I stripped some rosemary leaves off a sprig or two, snipped them into small pieces and tossed those in as well. Spread out onto a cookie sheet. . . or two–don’t crowd them. Roast for about 10 minutes (mine took 13) or until they just begin to brown. 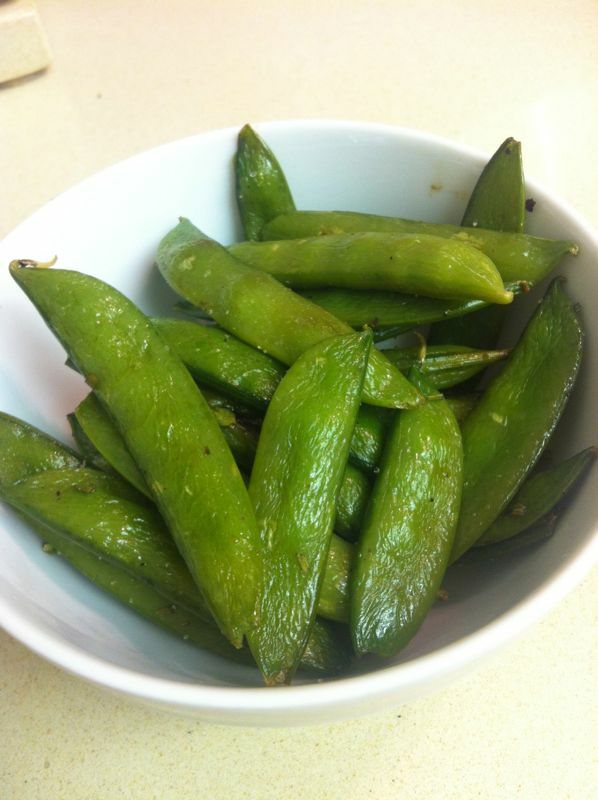 The pods soften up, but still have a little bit of texture, and the peas sweeten up inside. We’ve been snacking on the ALL day, and have tried them with some Trader Joe’s regular hummus as a dip. Quick, easy.